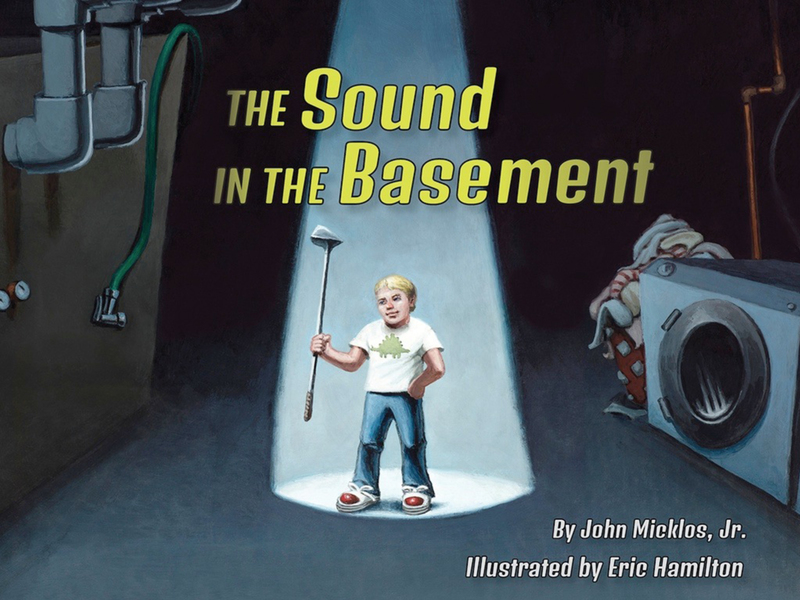 The Sound in the Basement | First State Press - Author John Micklos, Jr.
Is there really danger lurking in David’s basement, or is it just his imagination? A great read-aloud story to promote visualizing and making connections. Kids will easily relate to David as he faces his greatest fear and learns a lot about courage. The Sound in the Basement is a perfect choice to share with students in writer’s workshop as they author their own stories about overcoming their fears. Kids will love this book because they will know that there’s nothing in the book that can touch them or hurt them or pull them out of their chair. They will learn that courage is not the absence of fear and that they can still be brave even if they are afraid. This book will appeal to any child who has ever been scared of the dark. The well-crafted story is about a boy named David who ventures into his dark basement to get food for his dog, Skippy. David hears “a moany sound, a groany sound, a chill-you-to-the-boney sound,” and his imagination goes wild! The ending of this clever story will bring comfort to any child who has ever been afraid of the dark.